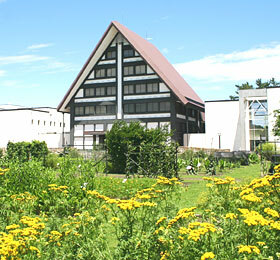 In 1971, Toyoji Naito, the founder of Eisai Co., Ltd. and the Naito Foundation of Science felt the need to preserve the valuable materials which contributed to the development of pharmacy and the pharmaceutical industry in Japan, and established this museum with help of many people. Major activities of the Museum are; 1) collection, storage, research and exhibition of historical materials regarding pharmaceuticals, and other PR activities on such materials; 2) maintenance of the Museum's gardens. Through these activities, the Museum is committed to increase people's understanding about medicine as well as providing assistance on research activities on pharmaceutical history. In October 1986, the exhibition room was expanded to storage increasing materials and enrich the exhibition. In November 2005, the Museum opened the adjacent library with an extending collection of both pharmaceutical and non-pharmaceutical literatures, which are available for public. Opening Hours 9:00 a.m. - 4:30 p.m. The Museum exhibits selected items from its collection of more than 65,000 historical items. The exhibition room consists of two parts - the permanent exhibition space and the special exhibition space. At the permanent exhibition space, materials related to pharmaceutical history are exhibited. English translation is provided in captions and guides. Featured exhibitions based on the research works done by the Museum curators are exhibited at the special exhibition space. "Hakutaku", Chinese holy beast against diseases in 19 C.
"Kusuri kanban", Signboard of medicines in 19 C.
The Library stores about 62,000 books including medical and pharmaceutical books. The old books from Edo period are also included. Registration required for using the Library. About 700 different types of medicinal plants and trees are grown in the gardens. Other film programs are available, too. Please ask for information. Download available here. Each author, making organization or "Eisai Co., Ltd." has proprietary rights.